Woolly Monkey Hepatitis B Virus is closely related to (Human) Hepatitis B Virus, with only about 20% sequence variation. 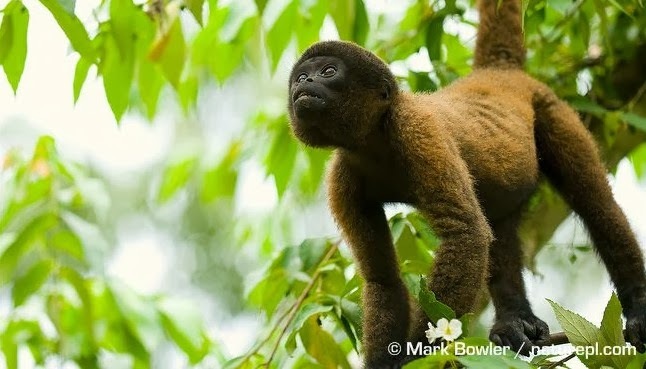 Woolly Monkey Hepatitis B Virus preferentially infects the Woolly monkey (Lagothrix lagotricha) but can also be effectively transmitted to spider monkey’s (Ateles spp). It transmits poorly in the chimpanzee, which in turn is highly susceptible to the (Human) Hepatitis B Virus. The Woolly Monkey Hepatitis B Virus usually causes chronic hepatitis in the affected animals with no or only minor symptoms. Viruses similar to Hepatitis B Virus have been found in all the Old World apes, such as orang-utans, gibbons, gorillas and chimpanzees, and from New World Woolley Monkey’s. These findings suggests that the virus must have a very ancient origin, maybe 300,000 years ago. Moreover, because humans have spread the Hepatitis B Virus over the entire globe, research has now demonstrated there is evidence for circulation of the different viruses between different species and sub-species of non-human primates. It signifies the danger of the emergence of newly adapted Hepatitis B Viruses. Questions, reactions or suggestions? Want to advertise? Want to add a column of your own? Don't hesitate and mail Fred de Vries here. Thema Eenvoudig. Thema-afbeeldingen van lucato. Mogelijk gemaakt door Blogger.